Native River and Might Bite, the two highest-rated staying chasers in training, headline 14 entries revealed today for the £200,000 Betfair Chase at Haydock Park on Saturday, November 24, Betfair Chase Day. The first G1 of the British Jump season is also the initial contest in The Jockey Club Chase Triple Crown, which offers a £1-million bonus for any horse who can follow up victory in the Betfair Chase by taking the G1 32Red King George VI Chase at Kempton on Boxing Day and the G1 Magners Cheltenham Gold Cup at Cheltenham on March 15. The eight-year-old was restricted to just two appearances last term, also winning the G2 Betfair Denman Chase for a second time at Newbury in February, and is a 5/2 chance with Betfair to make a winning seasonal return in the Betfair Chase. 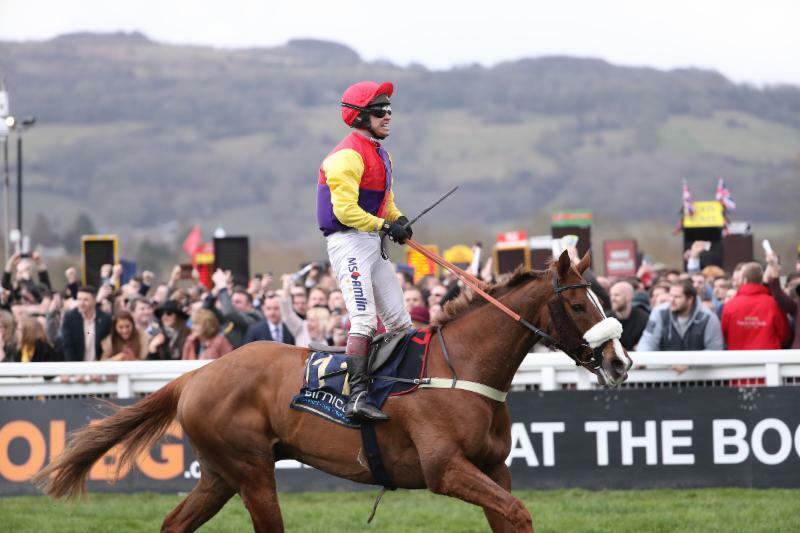 Prior to his Cheltenham reversal, Might Bite had captured the 32Red King George VI Chase and the Nicky Henderson-trained nine-year-old ended last campaign with an emphatic win in the G1 Betway Bowl at Aintree in April. 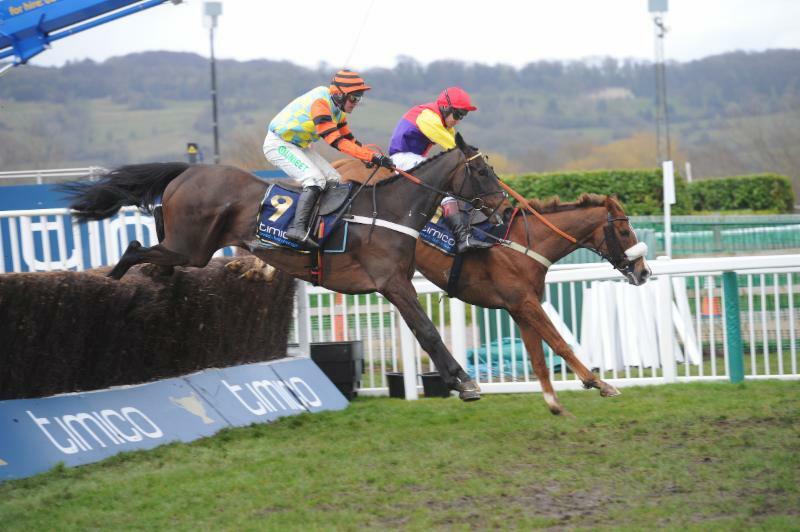 The 172-rated chaser is also a 5/2 with Betfair to notch up a fifth G1 victory in the Betfair Chase. 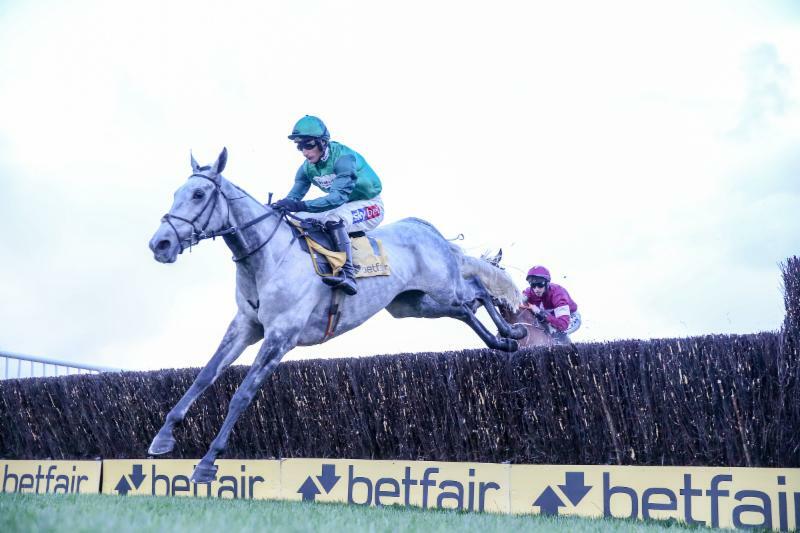 Other leading Betfair Chase entries include Bristol De Mai (Nigel Twiston-Davies, Betfair’s 9/4 Favourite), who powered to a 57-length victory in last season’s renewal and was runner-up to Might Bite in the Betway Bowl. 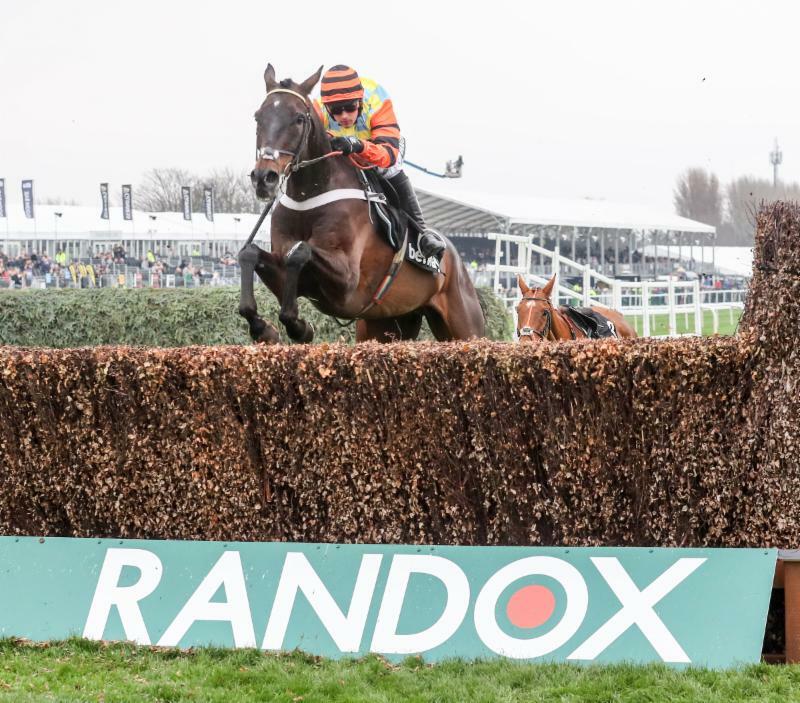 Native River’s stable companion Thistlecrack (16/1) looked to have the world at his feet after winning the 32Red King George VI Chase as a novice in 2016, but has made just three subsequent starts, most recently when finishing fourth behind Might Bite in the Kempton Park highlight last season. An Irish-trained horse has yet to win the Betfair Chase, but Ireland’s champion owner Gigginstown House Stud is responsible for four entries this year including the Gordon Elliott-trained Shattered Love (14/1), successful in the G1 JLT Novices’ Chase at The Festival™ in March. Elliott may also be represented by last year’s third Outlander (50/1) and Don Poli(25/1), both G1 winners over fences, while lightly-raced seven-year-old Disko (25/1), twice successful at G1 level as a novice chaser, could line up for Noel Meade. Paul Nicholls has dominated the Betfair Chase with six victories in the extended three mile, one furlong contest and the Somerset-based trainer has three contenders – G1 32Red Kauto Star Novices’ Chase winner Black Corton (33/1), Betway Bowl thirdClan Des Obeaux (16/1) and Politologue (12/1), who captured Aintree’s G1 JLT Melling Chase on his latest outing and could step up in trip. The entries are completed by G1 Betway Mildmay Novices’ Chase second Ms Parfois(Anthony Honeyball, 33/1), G2 BetBright Trial Cotswold Chase runner-up American(Harry Fry, 33/1) and Un Temps Pour Tout (David Pipe, 33/1), a dual winner of the G3 Ultima Handicap Chase at The Festival™ who missed last season. 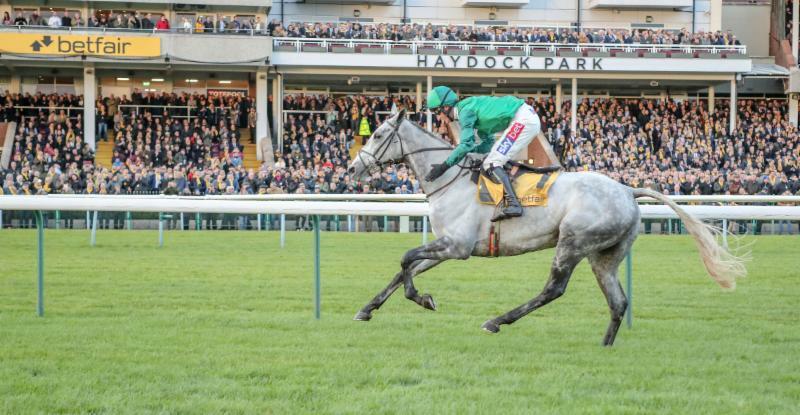 “Add last year’s winner, Bristol De Mai, Clan Des Obeaux, and the four Irish entries headed by the JLT winner Shattered Love and it all adds up to a vintage renewal for the 14th running of the famous race. “Last year’s winner Bristol De Mai currently heads the betting at 9/4 just ahead of old foes, Might Bite and Native River, who are both 5/2. Betfair Chase Day also features the £100,000 G3 Betfair Exchange Stayers’ Handicap Hurdle, won last year by subsequent G1 Long Walk Hurdle victor Sam Spinner. A total of 39 entries for the three-mile contest include three-time G1 winnerUnowhatimeanharry (Harry Fry, 20/1).Betfair’s 6/1 joint favourites are Soul Emotion (Nicky Henderson), last seen when taking a valuable handicap hurdle on the final day of last season at Sandown Park, and Paisley Park (Emma Lavelle), who was impressive when defying top-weight in a competitive handicap hurdle at Aintree last month. Weights for the Betfair Exchange Hurdle will be revealed on Wednesday, November 14. Haydock Park has provided the finest horseracing and many memorable moments since 1899. The Sunday Times’ Hugh McIlvanney looks at what makes Haydock Park ‘A People’s Racecourse’ – the film is available to view here. A film outlining the Jockey Club Chase Triple Crown can be viewed here. A Might Bite vs Native River promo film – the Rematch can be viewed here. £200,000 Total Prize Fund. 3m 1f 125y. 3.00pm Haydock Park, Saturday, November 24. For five-year-olds and upwards, which are allotted a rating of 130 or more by the BHA Head of Handicapping following a review of the horses entered and after taking account of races run up to and including the day prior to confirmation. Horses which are not qualified for a rating in Great Britain, Ireland or France may also be entered. Such horses may be eligible providing the handicapper is satisfied that the horse’s racecourse performances up to and including the day prior to confirmation would merit a minimum rating of 130. The decision of the BHA Head of Handicapping shall be final. Weights: 11st 7lb Mares allowed 7lb. Entries closed Tuesday, November 6 (14 entries), five-day confirmation & £10,000 supplementary entry stage November 19, final declaration stage, 10.00am, November 22. £100,000 Total Prize Fund. 3m 58y. 2.25pm, Haydock Park, Saturday, November 24. For four-year-olds and upwards. Entries closed Tuesday, November 6 (39 entries), five-day confirmation stage November 19, final declaration stage 10.00am November 22. Penalties, after November 11, 2017, for each hurdle race won 5lb. Maximum field of 17 plus 2 reserves.